Born in Northumberland, England, Charles graduated from grammar school with honors. He immigrated to the United States as a young teen and won a scholarship to Bishop Loughlin Memorial High School, where he also graduated with honors. After studying engineering at Brooklyn Polytechnic Institute, he joined the Air Force, became a jet pilot, helicopter pilot, and graduated from Navy Test Pilot School. He earned a BA in electrical engineering and MBA from the University of South California. He served two tours in Vietnam as a rescue pilot with the Jolly Green Giants, and was a crew member of the first non-stop flight of a helicopter across the Atlantic Ocean. He retired a decorated soldier from the USAF after 28 years. He then worked at Boeing for 15 years as manager of Flight Test Operations and chief test pilot for the V-22. Up until his death, he was a certified flight instructor and proud member of Condair Flying Club, Quiet Birdmen, The Society of Experimental Test Pilots and AHS International, now the Vertical Flight Society. Charles Ray Dunn, Ret. 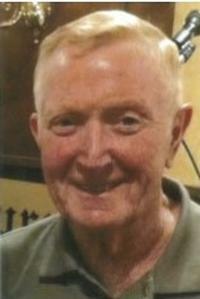 Col. USAF, age 74, died on Saturday, May 5, 2012.